Later this month, it will have been six months since John Legere and Marcelo Claure announced the plan to merge T-Mobile and Sprint. Combining the nation's third and fourth largest carriers is necessary, according to the executives, to keep U.S. leadership in next generation 5G connectivity. But the deal is currently in limbo as it awaits approval from both the FCC and the FTC. Meanwhile, more business organizations are supporting the merger. In a filing made with the FCC, the National Taxpayers Union said that it's own analysis shows that taxpayers and consumers would benefit greatly from the merger. The deal would eliminate inefficiencies among both carriers and give the New T-Mobile the ability to cut prices and compete in the industry. Other organizations expressing their support of the merger by writing to the FCC include Lincoln Independent Business Association, the Mid-Maine Chamber of Commerce and the Olathe Chamber of Commerce. You might recall that back in August, the Communication Workers of America (CWA) addressed the FCC, complaining that the T-Mobile merger with Sprint would cost the union more than 28,000 jobs. Companies in the industry like AT&T, Comcast and Charter Communications are beginning to send information to the FCC related to the merger, and requested by the agency. According to Fierce Wireless, this info includes data about "churn, network engineering, financials, MVNO agreements, spectrum plans and the transfer of licenses and authorizations." In what could be bad news for T-Mobile and Sprint, the California Public Utilities Commission (CPUC) is expanding the scope of its review. According to Steve Blum, president at market analysis firm Tellus Venture Associations, the investigation conducted by the CPUC "won’t be limited to a few specific and largely technical issues as T-Mobile and Sprint had hoped." Little confused about the problem here: - Old customers will be grandfathered into their plans. - Combining the both networks will resolve a lot of signal issues for both customers, especially Sprint customers. - They might charge more for new customers but the extra pay is for a much better and greater network. Will people really have issues in paying a little more to get a better network and more services? For people like me who cannot afford full fledged plans. MVNO’s are always an option. 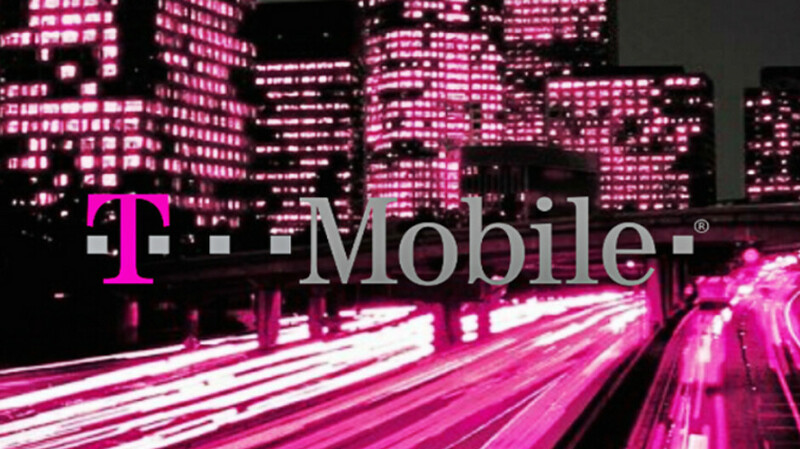 And New T-Mobile MVNO are also going to be awesome. TMOBILE just has faster 4g and a larger 4g foot print over Sprint. If you combine Sprints 4g/3g foot print Sprints network has a farther reaching foot print. Wake up..... The merger will hurt consumers... These fake business men and fake taxpayers unions are just the far right teatotalers making noise hoping to clear the way for their future mergers. In fact a previous article about the merger discussing Sprint's bogus letter to the FCC mentioned this very truth. Rootmetrics has this information available for all of you would be in haters that don't have a clue. SPRINTS network of 3g/4g is larger than Tmobile.... They just have a smaller 4g foot print. Misleading information by Sprint is just a Rouge to make money as opposed to competing for business. THIS MERGER WILL KILL THE CONSUMER. LOOK AT THE JOINING OF THE BABY BELLS and Verizon. You sir have confused me even more. I made a bunch of points, one of which says price may increase for a better network. - you agree and point out that combined they will have a further reaching footprint. - What fake unions are you talking about? So according to you mergers should not happen and companies should stay in losses or less profits? - Sprint has high spectrum which cannot travel a lot like T-mob low end. So I do not know what footprint you talk about. - Baby Bells is a very big and long topic. Its more about ATT than Verizon. You have a low comprehension level so I won't bother to break it down any further. You foolishly cheer lead this as if you are getting something monetarily from this. This is all about the bottom two joining the top two and you the consumer losing.... But a rich cheerleader like you are just too smart for me... I now have all three, and I am dropping Tmobile..... Sprint throwing in the towel makes me want to join Verizon full throttle..... I just might throw in the towel too. I have been here since 1997. This is true regarding Sprint’s “overall” network coverage. They do have a larger footprint than T-Mobile when you consider both 3G and 4G, T-MOBILE just has a larger 4G footprint. That is why Sprint’s voice coverage blows T-Mobile out of the water and many more m2m businesses have 2G and 3G devices in the Sprint network than on the T-Mobile network. I have never used Sprint. Only heard my friends complain about both carriers. T-Mobile, I have heard apparently picked up quite well after the 600mhz spectrum roll out. Now the only issue is 99% of T-Mobile customers might not have new phones to use this spectrum. January can't come fast enough. Go SprinT-Mobile!